Wedding is more than a ceremony of celebrating union of two in the presence of their families and close friends, it is tradition and culture. Let’s explore Vietnamese tradition through a typical morden wedding. 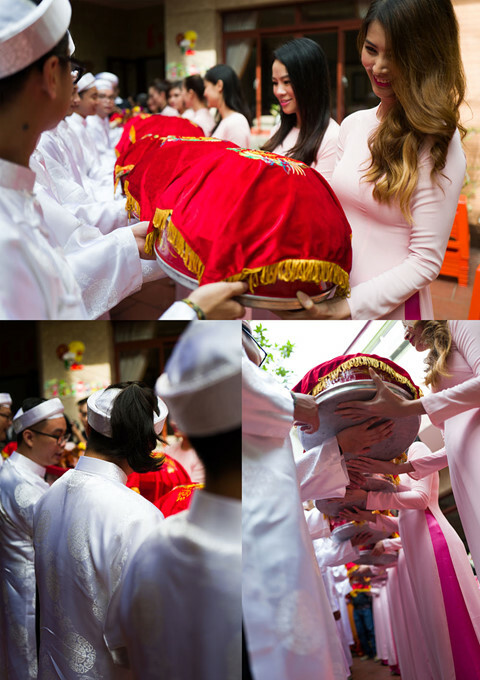 A Vietnamese traditional wedding consists of 3 ceremonies: lễ chạm ngõ, lễ ăn hỏi and lễ rước dâu. Lễ chạm ngõ (also known as lễ dạm ngõ, lễ xem mặt) is regarded as a tradition rather than a fomality. 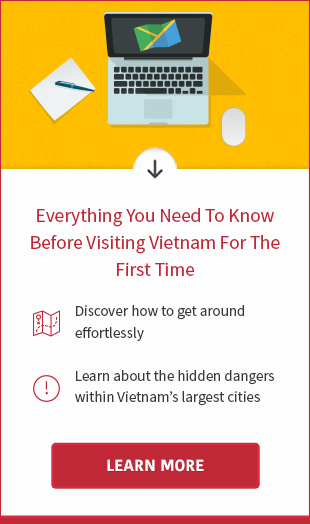 Though, it has remained so far since Vietnamese people has a saying “good begin, happy ending”. Lễ chạm ngõ is actually a close meeting between two families. The groom’s family will pick a date and inform the bride’s family of it with the number of representatives joining the ceremony. Normally, each party has no more than 7 persons. 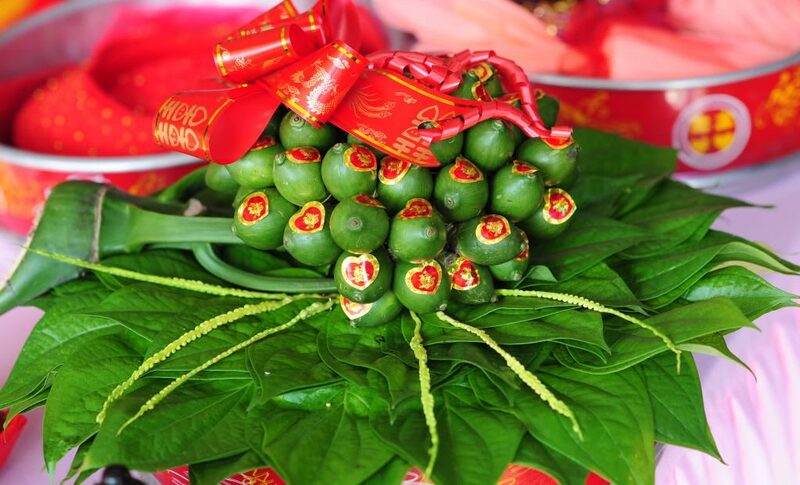 On the fixed date, the groom’s family will bring a tray of trầu cau (betel leaves and areca nuts) to the bride’s house to officially discuss about marriage of their children as well as preparation for the wedding. 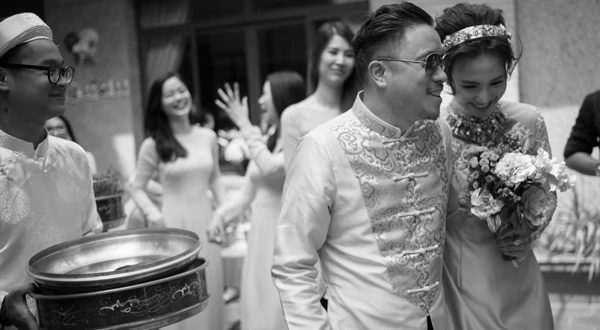 Lễ ăn hỏi is engagement ceremory.The date for engagement party is selected by both families based on the couple’s birth dates for Feng Shui purpose. On engagement day, the groom and his family will make their way towards the bride’s house. Typically lead by the groom’s parents then the groom, often with a bouquet of flowers. Then he’s followed by young boys from the groom’s side each carrying prepared gifts. The rest of the procession is relatives and close friends of the groom. Speaking of prepared gifts, they normally include jewelry, wedding cakes, betel leaves, areca nuts, fruits, bánh nướng (special cakes eaten on Mid-Autumn Festival), tea, wine, fruit, and a roasted baby pig. Each gift is placed on a plate covered by red cloth. The number of plates has to be odd number. 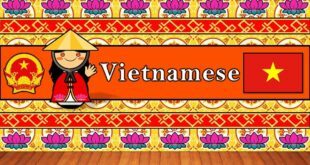 In Vietnamese beliefs, the odd number and red coler will bring luck to the young couple. Upon arriving at the bride’s home, the bride’s family will line up outside of house’s the entry way. The groom’s parents will lead the party to the house and greet the bride’s parents. The bride’s parents will welcome them into the home. The bridesmaids or family representatives will help the groom’s party by receiving the gifts and lead them into the house. During this time, the bride stays in her separate room. Typically, the representative of bride’s family will make a welcome speech and introduce family members in attandance. The groom family follows the same. After both parties approve of union of the couple, the bride is brought out. The married couple goes towards the altar, burn incense sticks and ask for permisson from the bride’s ancestors. After that, the bride and the groom will serve tea to the parents and people attending the engagement party. Usually, the party will end by that the bride side returns a part of the gifts to the groom side as a way to say thank for their generousity and show they are now one family. 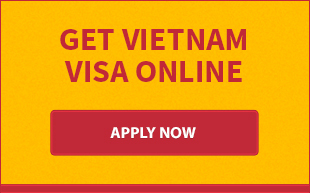 Lễ rước dâu can be on the same day with lễ ăn hỏi or different day according on agreement of both families. The bride will follow the groom’s procession to his home. It’s very important that the number of procession must be even number. At the goom’s house, the couple will follow the same procedure in front of ancestor altar as they previously did at the bride’s house. Finally, the bride is brought to the couple’s room and shown their marriage bed. 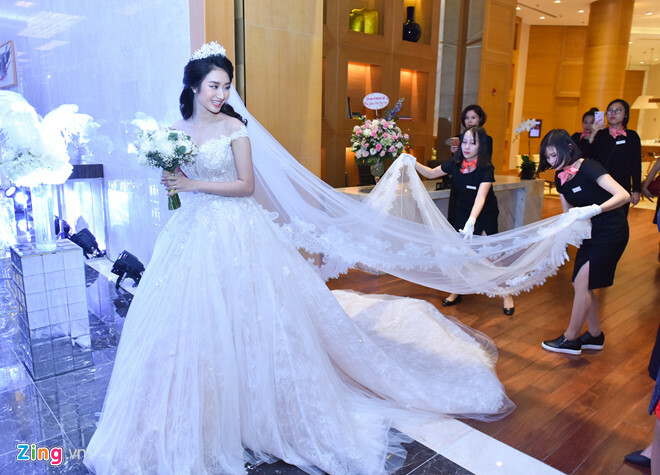 Following this ceremoney, the bride and groom’s family invite their friends and relatives to a reception taken place either at the groom’s house, restaurant or hotel banquet hall. The number of guests in attendace is always in hundreds. In tradition, wedding gift is in form of money. There is a box at sign-in table for the guests to drop their money gifts. The groom and bride’s family stand at the entrane way of the hall greeting the guests and leading them to the seat. When all tables are full, it’s time for ceremony. Music is on, the MC makes an introduction speech and then everybody has eyes on the bride walking down the aisle. 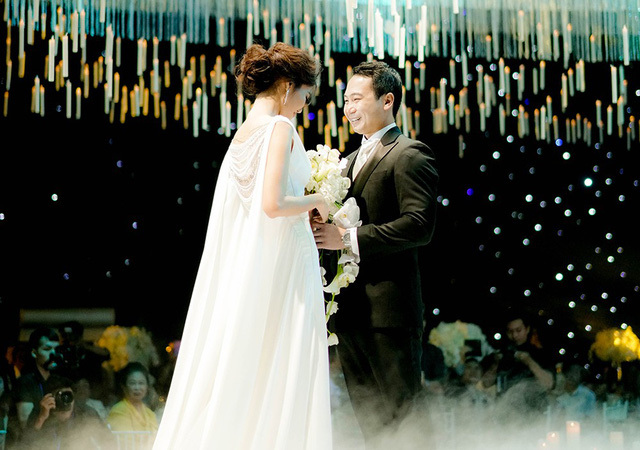 When the bride and groom join together, the MC declares they are husband and wife. The ceremony continues with ring exchange of the couple and then families of both parties come to give jewelry to the bride as good fortune. For the rest of the reception, the bride and groom’s family will go to every single table to thank you the guests for their presence on this happy day. In exchange, each table will select a representative to give a congratulatory toast to the family. 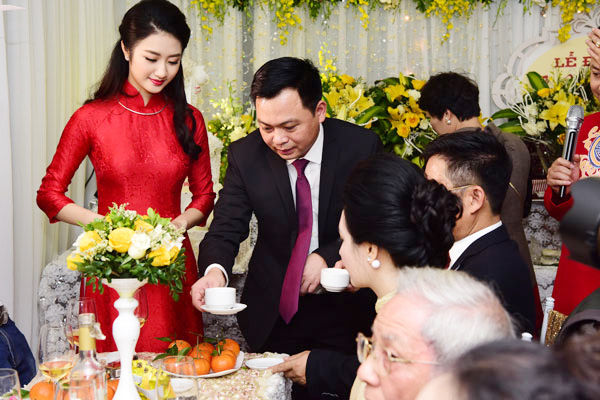 If Ao Dai is popular dress for lễ ăn hỏi, the Western wedding dress is chosen for lễ rước dâu. Some brides wear even 2-3 different dresses on this special day.